If you’re a Christian healthcare provider, chances are you’re already committed to treating the whole person. Of taking a holistic approach to quality patient care. Recently, we’ve been going through CMDA’s all-new Grace Rx curriculum in our bible study brunches. Last week we discussed how and why to take a spiritual history. Initially I had planned on sharing the various options for spiritual assessments with those who came, but figured others could benefit, too, so I’m putting it up here. To give credit where it’s due, Dr Walt Larimore and Bill Peel put Grace Rx together, so I’m largely just passing along what they cover in Module 5 of their course. A large body of evidence suggests that taking a spiritual assessment/history is beneficial. patient desire – about 70% of the American population views religious commitment as a central life factor, especially when dealing with illness. Most patients want professionals to inquire about beliefs important to them. patient benefit – of studies reporting relationships between spirituality and mental and/or physical health, about 70% report positive relationships. 22% report mixed/no results, while 9% report a negative one. identification of risk factors – an inverse relationship exists between faith and morbidity and mortality. For example, patients who ‘felt alienated from or unloved by God or attributed their illnesses to the devil were associated with a 16% to 28% increase in risk of dying during the two-year follow-up period’. may enhance healthcare – empirical literature from epidemiological and clinical studies that explore the relationship between religious factors and mental/physical health suggest that religious commitment helps prevent, improves coping with, and, facilitates recovery from illness. considered a standard of care – an increasing number of healthcare organizations are calling for greater attention to be given to spiritual issues as patients are treated and assessed. Taking a spiritual assessment doesn’t have to take a lot of time, or, seem weird. They can be delivered quickly, and, in concert with other questions designed to assess a patient’s overall health. In addition, you don’t have to choose one instrument and stick to it rigidly. You can use whatever questions work well for you, and, help you help your patients. Larson Spiritual History (slide 69). GOD Questions (slide 70). This is the one covered in the Grace Rx curriculum. As I wrapped up this segment of the post, I stumbled upon Dr Larimore’s presentation at the 2013 Global Missions Health Conference. This contains each one of the spiritual assessments mentioned above and may be the easiest way to access them in one place. Even though a great deal of organizations (many of them secular) encourage spiritual assessments, pressures to avoid the topic and keep patient encounters brief make it hard in practice. In addition, our own insecurities and (frankly) selfishness pose barriers, too. Our commitment to treating the whole person, as Jesus did, can help us to press on past the barriers and include a spiritual assessment. Doing this allows us to see where a patient is in their spiritual journey and join them – and God – in it. In case you missed it, here are Dr. David Levy’s talks, and Q & A sessions, given at Renewal Presbyterian Church in Philadelphia, PA on March 9-10, 2012. 3 – either click “open with” your default media player (i.e., Windows Media Player) to listen now, or, “save file” to download so you can store/listen to the file on your computer/MP3 player later. Many thanks to Chris Chong for recording these sessions. Enjoy! This month, CMDA is rolling out our new monthly student newsletter. You’ll find a link to our Life Support Podcast, which currently features an interview with Dr. David Levy, a neurosurgeon who’s learned a lot about the impact of praying with his patients. He’s written a fantastic book on this subject called Grey Matter, which I can highly recommend. Ever wonder if it’s appropriate to talk about spirituality with patients? Many people believe that “science” and “spirituality” are incompatible, but a growing body of research (over 4,000 studies) shows that they belong together. In this video message (see above), given at a recent MCO Healthcare Fellowship gathering, Dr. Josh Uy helps us navigate through, and apply, the current research. (Thanks to Dan Mirsch for providing the video). In my last post, I shared about a recent community health panel where patients let future healthcare providers in on how they see important health-related issues in the inner city. We learned so much that I thought I’d do another post or two on what was shared. This time, let’s explore the tension between addressing what a patient wants versus giving them what (we think) they need. Anyone who’s been in healthcare for any length of time knows there’s often a significant difference between the two. For example, one physician mentioned his patients often show up with a chief complaint of “pain.” His training has taught him to figure out what kind of pain they’re in, rate it on a scale of 1 to 10 and categorize it according to several choices he offers them. The goal, of course, is to learn more to work toward a successful treatment plan. That’s his agenda. In this community (and others like it), though, frequently patients refuse, for one reason or another, to respond according to the choices they’re given. When a physician asks a patient to place her pain in one of four “boxes”, she might just say it “hurts a lot” or use some other description for her experience. Are they being non-compliant, “difficult patients”? The people in this neighborhood have been through a lot. One man shared how he was jumped by a gang of teens and left for dead. His skull was fractured. He lost sight in one eye. He barely made it. People who are suffering want to know their provider cares. In addition to recovering, that’s their agenda, and, it’s legitimate. The provider above shared how unsettling it can be to realize that you’re not in control of your patients’ health. In reality, they are. Only they can take the medications you prescribe. Only they can make lifestyle modifications. Only they can choose to live with hope and faith. We have to come to grips with our inability to change anyone, and, be OK with that. We have to recognize that, to a significant extent, we’re not unilaterally in control of the patient encounters we have. It has to start with finding our identity and security with Christ, not in how much we know, or, in controlling patient encounters and outcomes. When we recognize that God is in control, we learn to take our hands off the wheel, asking him in the moment what his agenda is, and paying real attention to what our patients are looking for. This is not to say we throw our professional judgment out the window. We can’t give someone narcotics just because they want them. That wouldn’t be loving. When we see that God is in the driver’s seat, though, we can be more truly “present” with our patients. As that happens, we enter into their stories with true compassion and learn to work with them as they share their pain and suffering. This will not come without cost, of course. I’m not talking about money. I’m talking about the “cost” of listening with sympathy, slowing down and letting our patients (and friends and families) have a real role in our interactions with them. But the greatest cost may be relinquishing the security we find in “knowing” how the encounter should go, instead being open to an agenda that differs from our own. It always hurts to step down from the throne. At the end of the day, though, it’s not about the patient’s agenda or ours. It’s about both of us recognizing, and deferring to, a loving God whose perfect (if sometimes hidden) agenda brings life and healing to us all. In most professions, “we” talk about the “clients” we serve. Waiters talk about diners who leave lousy tips. Athletes complain about unsupportive fans. Pastors “share” about the unthankful members of their congregation. And healthcare providers grouse about their patients. But what do our clients think about “us”? During a recent community health panel, we found out. The panel featured three residents from the Hunting Park community in Philadelphia, the site of our three-week medical missions project. Hunting Park is Philadelphia’s second poorest neighborhood. Although it has many, many assets, it also faces many challenges, and we wanted to hear about them – straight up – from the people who live there. What we learned was fascinating. One older woman, recovering from major surgery, emphasized that she wants to be treated “like a human being.” She said that younger physicians don’t touch their patients anymore, something she misses and feels contributes to a mechanical patient-physician relationship. She responded by emphasizing that, overall, patients want to be treated with dignity, the dignity that comes from being a person. Greeting patients properly (looking them in the eye and using their name) and using a kind tone of voice (even at the end of the day!) are tangible ways of giving people the honor they deserve. The panel also featured several healthcare providers. It was phenomenal to see the patients and providers interacting with each other kindly, with real humility. There was real honesty, too. They were living out the sort of dignity the patient above is calling for. All this means that there’s hope that providers and patients can do more than simply tolerate each other. When we recognize that God created each one of us, we can treat each other with the dignity God is calling us to despite the challenges and annoyances that are sure to come. As you interact with the patients (or other relationships) God has given you, how can you begin to show them more dignity? Maybe it’s asking God to help you overcome the jaded attitude you’ve developed toward them. Perhaps it’s asking them if they have any questions and really meaning it. Maybe it’s allowing yourself to feel their suffering, sharing it with them, even if you can only do it for a moment or two. Or, if we’re really brave, we can ask our patients what would matter most to them. No doubt, if we ask, God and our patients will let us know. Real life is messy. Life – and people – come and go at the speed of light. As a healthcare professional, you (typically) have 15 minutes or less to make a difference. Needless to say, the patient in front of you (and God – see Colossians 3:23-24) expects you to do your best for them clinically. But assuming you do that, as Christians we know God also wants us to “treat the whole person” to the best of our ability. How do you that when there are a million things to choose from and you only have a few moments? We need to accept the limitations that come with living in a fallen world, being broken ourselves, and simply not being all-knowing like God. This means that, sometimes, we may not know what to do for a given patient, and that’s OK.
We can always show God’s love, though. Beyond medical care, many times patients simply want to know we care, even if we can’t “fix” things. Before we can speak more specifically to someone’s issues, we need to restore hope. If someone doesn’t (practically) believe change is possible, why would they do what we’re asking them to? As Christians, we need to become experts at giving specific hope for today, not just for heaven. We should try to balance speaking to behavior with speaking to “the heart” (biblically, not only the emotions, but thoughts and will, too). Jesus says (Luke 6:43-45) that our behavior is driven by what’s inside of us – our most fundamental commitments). So, if we want to help someone stop overeating, for example, we need to figure out why they’re overeating for real, long-term change to take place. We can develop a network of friends, professionals and other resources that can continue caring for our patients outside of our time with them. That may include pastors, counselors, other believing healthcare providers, churches, and community organizations. The key is to have the connections in place ahead of time so that you can direct patients there on an as-needed basis. Again, all of this is incredibly difficult and way easier said than done. At the same time, God is giving us many opportunities to help others change every day. Most of them come in bite-size chunks of 15 minutes or less, so we need to be ready. As you look at the suggestions above, which one could you work on in the coming week? Better yet, invite another friend in medicine to work on it (or another area) with you. Remember that, as you do, Jesus goes with you (Matthew 28:20). What would you do if you found out one of your patients murdered her boyfriend? After one of my physician friends shared this real-life story with me, I was pretty curious to hear what he had to say. On a larger level, I was really asking him how he walks the tightrope of loving difficult people in his practice without becoming swallowed up in the truth-is-stranger-than-fiction lives they lead. On the whole, I believe that most people in healthcare (and other places, ministry included) stop walking the tightrope between caring too little and caring too much. Invariably, we end up on the “caring too little” side. We do our job, keep our distance, and move on to the next patient. Don’t get me wrong. I know there are reasons. But usually, the reasons offered seem a little self-centered and unreflective to me. That’s why I really appreciated what my friend said. At the end of the day, he doesn’t become overly-involved with his patients because it’s not good for them or others in his life. In reality, he’s obeying Jesus’ call to “look not only to his own interests, but also to the interests of others” (Philippians 2:4). God has called him, primarily, to medically treat the person in front of him. He really does care about each patient, but if he gets too wrapped up in their lives, he’ll become burned out. He won’t make good, objective decisions and may compromise his care of them. And, he may also be distracted when he sees the next patient or his family, who also deserve his very best. So, more or less, he treats the patient who killed her boyfriend pretty much like all his other patients. He treats her medically to the best of his ability. He looks for opportunities to address deeper, spiritual issues in her life as she’s open to it, praying that God brings change. And then he leaves the results up to God, moves on, and sees his next patient. Not because he doesn’t care, but because he does. In a previous post, I said I’d share some takeaways from our two speakers at our local healthcare retreat. This is the first of those two posts, and it concerns the message given by Dr. Smith (name changed to keep a lower profile), who works at a local teaching hospital. I think you’ll find his comments helpful as you think about serving Christ in an academic environment. To begin with, Dr. Smith emphasized that he strives to be, first and foremost, a Christian rather a physician who’s also a Christian. In an environment where everybody has a title, simply bearing the name of Christ well – and finding your identity there – is what really counts. This is also in contrast to being a Christian Nice Guy, a (genuine) believer who smiles and does whatever you ask him to, but fails to live courageously and clearly for Christ. In both cases, the courage to live distinctively comes from finding our value and security in what God, not the people around us, say. This is much easier said than done, and something we need to come back to routinely as we preach the gospel to ourselves moment-to-moment. Dr. Smith has also found the academy to be a great place for sharing his faith, both directly and indirectly. Physicians serving in this environment typically wear a number of hats, which affords opportunity for interactions not only with other Christians, but also with patients, students and residents, colleagues and staff who do not share his faith perspective. In general, working hard and being competent (not necessarily the brightest or best) are important. This not only honors God, but gives you a platform for talking about God when the opportunities arise. No one will want to hear about Who you serve if they don’t respect how you serve. Patients. Patients are often at a place of physical vulnerability, which often creates an openness to spiritual discussion. Physicians should be ready to discuss these things with permission and respect, but also boldness. Spiritual histories (see below) are often a great starting point in this regard. Students, residents. While on service, Dr. Smith often has medical students and residents with him as he sees patients, presenting key opportunities to offer not only clinical, but spiritual, instruction. He always takes a simple spiritual history, something he is ready to justify by pointing to the scientific literature, which shows that dealing with spirituality results in better health outcomes, is desired by most patients, and is in accordance with medical “best practices.” Dr. Smith also uses specific teaching times to talk about these matters, and will invite students/residents to pray with/for patients who show interest in spiritual matters. Colleagues, supervisors. Again, character and competency are especially important here since respect won’t come through being further along in your training. Boldness and risk are required since academic physicians have a reputation for being negatively inclined toward faith. As an example, Dr. Smith shared how he’s going to hand out an appropriate Christian book to one of his colleagues and see what God does with that. Staff. Often, you’ll find other believers among staff who can challenge and encourage you. Dr. Smith, for instance, learned that two janitors were already sharing Christ with some of his patients, which really spurred him on to be more straightforward himself. 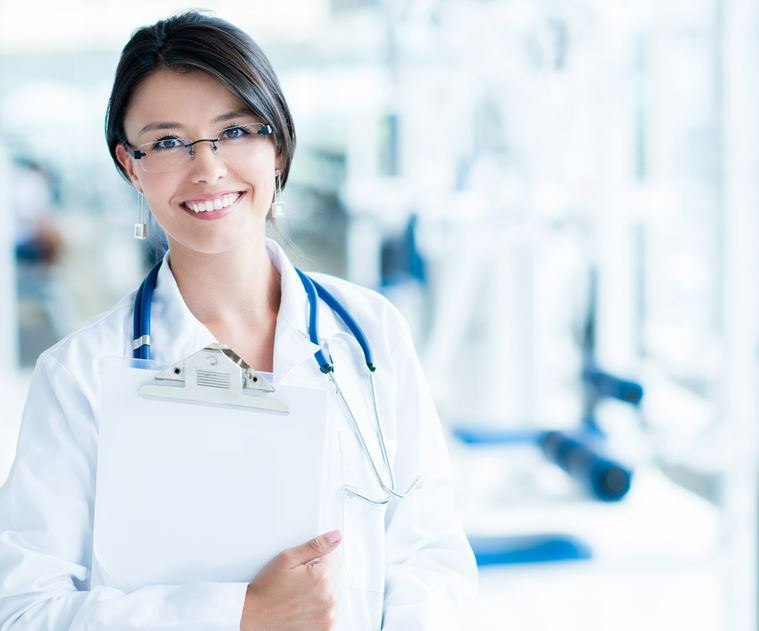 The specifics of any particular calling within academic medicine vary greatly, so these tips are starting points that need to be thoughtfully applied. At the same time, they are great guidelines that should be relevant in most situations. If God is calling you to serve in the academy, He can use you there to make a powerful impact. It’s time to open again our Healthcare Toolbox, which contains practical tools for following Christ in our daily practice of medicine. With a little adaptation, I think you’ll find that these tools have a far broader application, too. Today’s tool is the Declaration of Forgiveness, which I came across while reading “Gray Matter” by neurosurgeon Dr. David Levy. The book chronicles his journey from being an agnostic to gradually incorporating faith into his practice, and the amazing results he’s experienced. By way of background, when Dr. Levy senses that a patient is troubled, or, that his/her complications are inexplicable based upon medical considerations alone, he tries to explore other, non-medical causes. Since our spiritual and physical health impact one another greatly, dealing with these non-medical factors is part of providing excellent clinical care. After explaining this connection, and clearly asking if they would like to talk about these things, a provider can ask if there are people they need to forgive. If there are, the provider can help them talk to God about it right there. He/she can walk them through significant wrongs that were committed against them, releasing the offender for each one, remembering that God alone is Judge. After that process, Dr. Levy mentions that troubled relationships are usually a two-way street, and gives his patients a chance to confess their own failings and be forgiven by God. Sometimes his patients’ symptoms are healed, other times they improve, while sometimes no discernible change takes place. But in nearly every case, his patients experience new hope, improved relationships, and a desire to connect/reconnect with God. It’s simply part of the bigger picture in providing whole-person care. Obviously, as a neurosurgeon, Dr. Levy’s situation may be different than your own. No doubt, there are particular obstacles that need to be faced, and overcome, wherever you find yourself. But coming alongside patients and helping them set aside bitterness may be a key part of their treatment, and the Declaration of Forgiveness is one practical way to help.